At Hamilton Plumbing we have found one major concern and problem over the years and that is faulty piping and lining typically found underneath foundations. The solution can cost up to hundreds of dollars, however the damage of a faulty underground pipe or liner can be even more disastrous, if left unchecked. When you have major plumbing problems, give our team a call. We work hard to rectify the problem and get your commercial business or home up and running again. 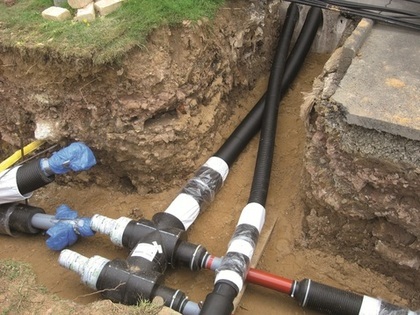 With underground pipes and liners, the potential for water leakage into your home or business can be a serious concern. Having your system working properly is not only a luxury, it’s a necessity. Without your water flowing and draining the way it should, the recipe for disaster is close at hand. We come in with our specialized tools and equipment to check water pressure, and find the root of the problem. 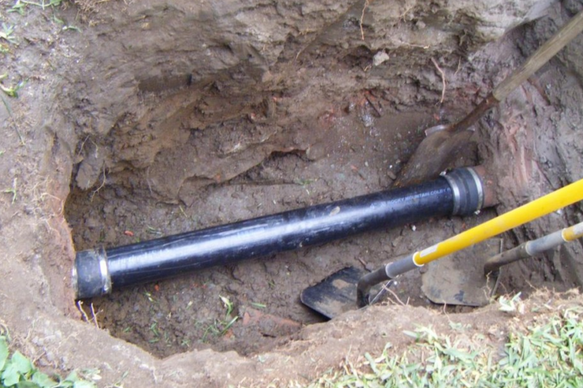 We dig, reroute, and repair old or broken piping and lining. Our expert plumbers go to the source of the problem so you can have peace of mind and stability in your home or business again. With the latest techniques, we may be able to come in and not have to dig up lines and disrupt yards and other structures. We do a complete diagnosis of the situation, and our expert plumbers use state of the art techniques to solve the problem. Our reliable service and proficient plumbers have dealt with older piping systems typically found in certain areas of Hamilton, and they can offer affordable solutions to rectify the problem. When you call Hamilton Plumbing, we arrive promptly and get right to work. We let you know of any materials and the cost needed upfront. Our estimates are thorough and detailed. We want you feeling secured and confident that you hired the right plumbing company. At Hamilton Plumbing, we strive to give our clients 100% customer satisfaction, and properly repair any underground piping issues. There’s no better time than now to contact Hamilton Plumbing. We even offer emergency service, in case your underground piping suddenly takes a turn for the worst!